I love everything about this game called hockey with the exception of maybe the shoot out…and most of all I love talking hockey with other fans. Every day, my path crosses with hockey fans of all kinds and while it is no secret the the Canucks are my favourite team, I have a deep respect for every team in the league and will gladly discuss all the teams across the board. I may not know every stat about each team like I do with Vancouver, but I like to be informed and keep tabs on how each of the other 29 teams in the league are doing. I love talking hockey, just ask my family, who I know, that I can drive crazy at times with all my hockey talk every day. I have crossed paths with amazing fans from ALL 30 NHL teams in real life and on social media. Yes, it is true there are AMAZING fans for EVERY team and I will not take that statement back. No matter where a team is currently in the NHL standings or where they will finish after game 82, all 30 teams have some incredible fanbases and I love discussing anything and everything hockey with all of you. I love how passionate fans are for their teams and I respect that EACH fan of EVERY team has their own opinions and we may not always agree on everything. I accept that we may not be on the same side for every game. I accept that our differences are what make hockey rivalries some of the best in sports. I accept that each and every fan is determined to believe that their team is capable of being the best. I accept that fans unite on the same side sometimes if it means a victory is plausible against a common rival. I accept that there will be highs and lows that align with the highs and lows of how your team is doing as the season progresses. I do not accept being treated as less than someone else. I do not accept being told that my team is not a real team. I do not accept that some fans are better than other fans. I do not accept that being a Canucks fan makes me a less informed hockey fan. I do accept fans insulting fans of other teams. I do not accept being treated with disrespect by other fans. What is the point of this post? Let me tell you a story that occurred just the other day when I was at work. It was a conversation that was struck up all because I was wearing a Canucks shirt as I do on most game days. The individual noted that they felt sorry for me because I was a lowly Vancouver Canucks fan and how tragic that fate was. This individual then followed up his sympathy with the suggestion that I ought to jump ship and become a fan of a REAL team like the Boston Bruins. He was a Boston Bruins fan and that is perfectly acceptable. I have absolutely no qualms if you support the Boston Bruins or any team of your choosing. I have the utmost respect for the Boston Bruins and while it broke my heart when they won the cup in 2011, I know that they earned their victory. I have met some incredible Bruins fans and would never lump them in the same category as this person that crossed my path the other day. Yes, the Bruins are a great team when healthy and yes they were victorious over my Canucks in 2011, I respect that truth. Yes, the Bruins are a real team but guess what? My Canucks are a real team too and I accept that they are not everyone’s cup of tea. The Boston Bruins are not my cup of tea but I respect them as a team, their talent and their fans. I applaud any and all fans passion for their respective team. As dedicated as this person was to his Bruins, I am just as dedicated to my Vancouver Canucks and there is no changing my ways. No matter the result this season or the next, I will be there to support them from start to finish every year. I accept that fans will not always agree, but I do not accept fans telling other fans HOW to be a proper hockey fan. Hockey fans come in all shapes and sizes and of all kinds. You do not have to be fans of the same team to have a great hockey discussion or appreciate this incredible game. 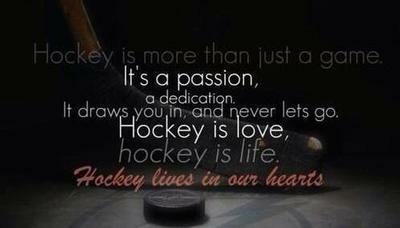 You do not have to have all the answers and you can ask as many questions as you want…I love talking hockey. Most of all, I love talking hockey to fans of ALL teams while bonding over our love of this game that is so much more than just a game. I will not judge you or the team that you choose to support. I will not belittle you or the team or its roster because of where it is in the standings or if it is struggling. I will not insult your team. I will simply show you the same respect you show me. I will not ask you to jump ship or switch sides. It does not matter to me which team you support or which player is your favourite, I would love to hear about ALL of it! As I said in the start of this post, I love talking hockey with the best fans in sports, so…talk hockey to me! This entry was posted in Hockey, NHL, Vancouver Canucks and tagged Boston, hockey, hockey fans, NHL, respect, Vancouver Canucks by sarahlaug. Bookmark the permalink.